True Blue Bay Resort & Villas - Caribbean & Co. Situated on the South coast of “Spice Isle Grenada” where the Caribbean Sea and the Atlantic Ocean merge, True Blue Bay Resort & Villas commands stunning vistas of lush tropical gardens and panoramic sea views that meet the horizon. This lively and very friendly boutique resort offers 49 comfortable and delightfully designed guest rooms. The owners, Russ & Magdalena Fielden, wrap years of experience around homespun hospitality, mouth-watering meals, plus an array of guest-centric resort activities that capture the essence of Grenada. 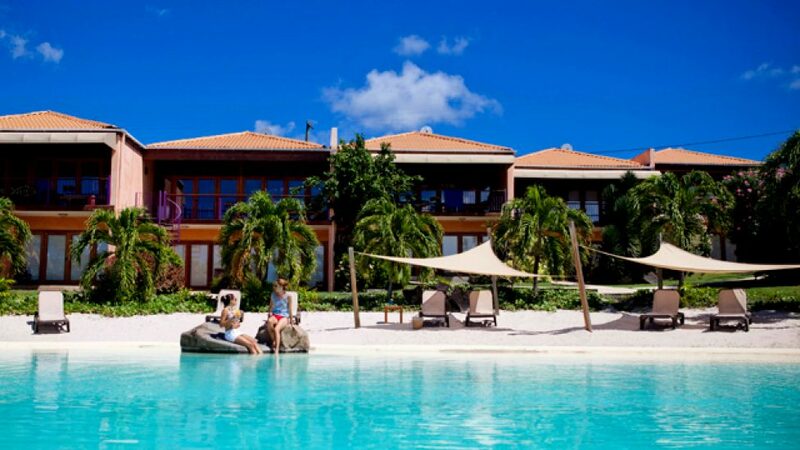 True Blue Bay Resort & Villas in Grenada is located near Grand Anse Beach and other golden sand beaches. Island activities, waterfront restaurants and bars, shopping centers, banks and the airport are all within a convenient range. It’s the perfect destination for a Caribbean wedding, honeymoon or holiday.